President Trump is visiting Minnesota on Monday for a business roundtable discussion in the town of Burnsville, located just south of Minneapolis. The Muslim rights group CAIR is planning to hold a rally in support of Rep. Ilhan Omar (D-MN) whose dismissive comment last month about the September 11, 2001 Islamist terror attack on the United States, “Some people did something”, was the subject of a video posted Friday night by Trump that was sparked cries of incitement by Omar’s supporters. 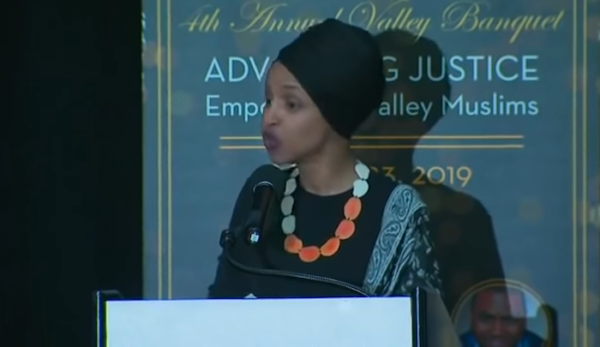 Omar made her 9/11 comment at a CAIR meeting in California on March 23. President Donald Trump is scheduled to visit a Burnsville truck and equipment company on Monday for a roundtable discussion on tax cuts and the U.S. economy. The post CAIR to Protest President Trump Minnesota Visit Monday With #IStandWithIlhan Rally appeared first on The Gateway Pundit.